The National Zoological Park in Washington DC is home to over 2000 animals across 400 species from around the world. The National Zoological Park in Washington DC is home to over 2000 animals across 400 species from around the world. Spread over an area of 163 acres, it is a huge zoo and requires a considerable amount of time to view all animals without rushing. 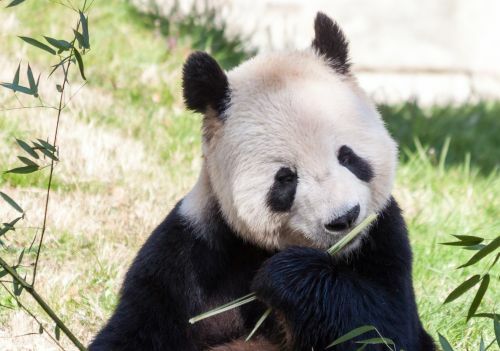 Its biggest attraction is the Giant Panda Habitat on the Asia Trail, where you can see Mei Xiang, Tian Tian, Bao Bao, and Bei Bei frolic around. Also on this trail are red pandas, fishing cats, sloths, a clouded leopard, Oriental otters, and Asian elephants on the Elephant Trails. The American Trail houses local species from the continent including beavers, bald eagles, pelicans, grey wolves, California sea lions and grey seals, while the Amazonia section showcases the ecosystem around the Amazon River with stingrays, river turtles, piranhas, titi monkeys, poison frogs, and caciques. Other popular attractions are the Ape House, Seals & Sea Lions Exhibit, Reptile House, Aviary, and the prairie dogs. This world-class zoo is part of the Smithsonian Institution and has free admission.